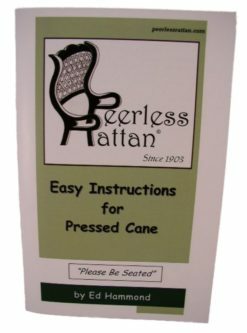 Complete Chair Caning Kit, 18″x18″ Fine Open 1/2″ Cane, 5 Wedges, 6′ of #8 Spline, Instructions. 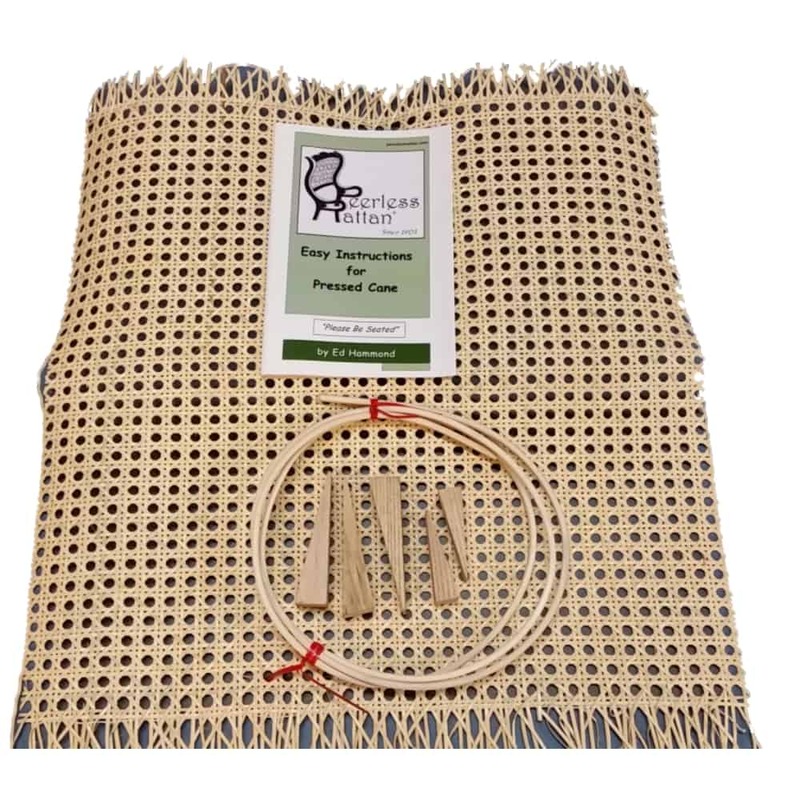 This is a complete chair caning kit for pressed in cane. 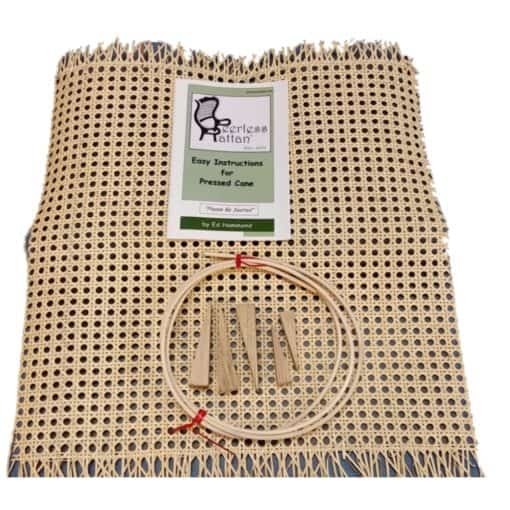 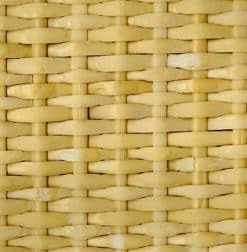 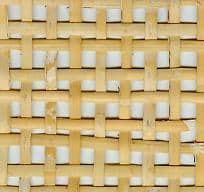 Included are 1 piece of 18″ x 18″ fine open 1/2″ cane webbing, 5 wedges, 6 feet of #8 spline and instructions. There’s enough to do a single chair that is no bigger than 18″ x 18″ in size. 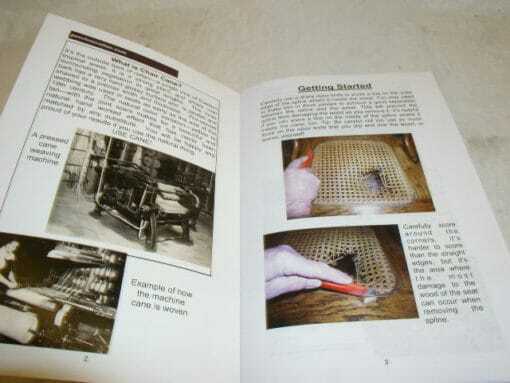 The instruction booklet is 20 pages of full color photos and detailed instructions with tips. 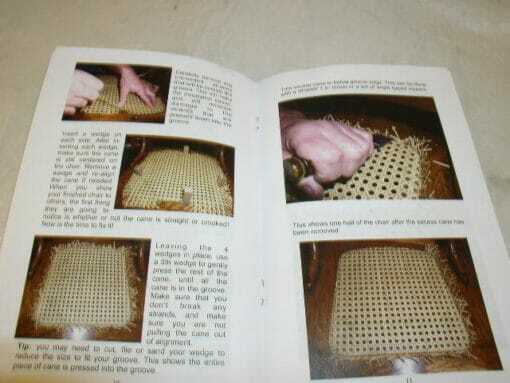 It’s written by Ed Hammond who has been caning and teaching for 30 years.